An award-winning firm in designing, manufacturing and retail of Modular Kitchens, Wardrobes, Bathroom vanities, TV wall units and more for almost 20 yrs, having successfully added more than 12,000 happy families and counting. MGM Kitchens & Interiors is a specialist in interior designing of both commercial establishments & residences modular kitchen in gurgaon. Started in 2005 in Delhi/ NCR, we are a leading manufacturer, supplier & installer of superior quality modular kitchen in gurgaon, a true value for money. EURO FRESH“world class quality suppliers of Home appliances” acknowledged for its High Quality and Innovative Designs and trusted by TOP Retailers in India. 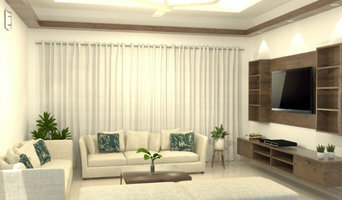 EURO Innovative products have won high reputation for reliable quality and good service in all over India market. Our products include Chimneys, Hobs and Water R.O. Purifier. After several year efforts, we have gained abundant experience of serving this industry. HicksOpus Modular World Pvt. 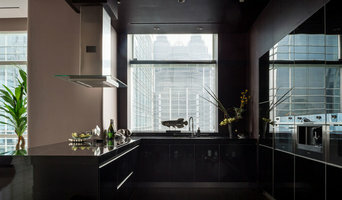 Ltd.
Aelee Kitchen is a professional kitchen and wardrobe brand. 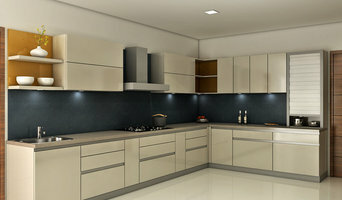 Contact for Kitchen and Wardrobe. 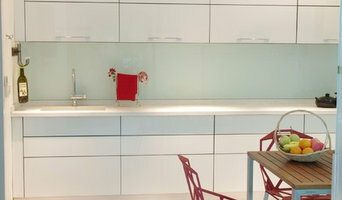 Why do I need a professional who specializes in kitchen and bathroom renovation and design? While looking for bathroom remodeling contractors or kitchen renovation experts you may often find professionals who specialize in both rooms. This is because these space have a lot in common. Kitchens and bathrooms include an abundance of fixtures that require careful planning and installation, including sinks, faucets, tubs and toilets that all need water hookups and drainage. They also use similar materials, such as tile and stone for countertops and flooring, due to the nature of their use. So it makes sense that professionals who works on the kitchen remodel and design also works on the bathroom construction or redesign. What do kitchen designers or bathroom remodel professionals do? Bathroom designers, as well as kitchen designers, are constantly staying on top of trends in the ever-changing industry. The designers know the best layout for your room, and can configure the layout for optimal functionality and utilization of the space. In the kitchen, the refrigerator, stove, and sink should be laid out in relation to one another, and it should be seamless and easy to move from one to the other. A kitchen and bathroom designer will know how to work with a contractor and architect to plan the flow of the room to work best for your needs. Most bath & kitchen renovations involve architectural plans from page to reality; these contractors are also trained to provide design services so that you don’t have to hire a separate pro. Like a general contractor, a kitchen and bathroom remodeling contractor is responsible for hiring and supervising subcontractors and providing materials when necessary. Find a bathroom and kitchen designers and renovator on Houzz. Narrow your search in the Find Pros section of the website to bathroom and kitchen designers. You may also look through photos of spaces to find kitchens or bathrooms you like, then contact the bathroom or kitchen designer who worked on it.